Download myPhotoLab - professional photo software! 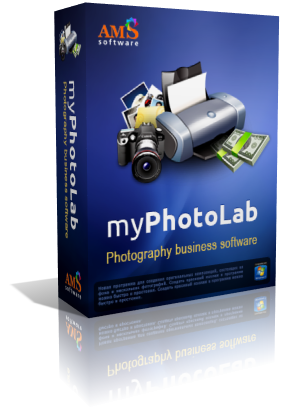 myPhotoLab software suite is a kit of up-to-date applications designed for small and medium photography businesses. It is intended to simplify your work, speed up order processing, and expand the scope of your services. With myPhotoLab you will spend far less time on routine operations and get an opportunity to create some unique products. This will bring loyal customers and higher profits! The suite comprises five applications that proved to be popular with photographers and designers all over the world. These carefully selected apps enable you to make ID photos, edit and retouch pictures, create photo calendars, business cards, photo collages, posters, greeting cards, invitations, photo books, and more - in a word, everything that a successful photo business should offer today. Unlike other professional photo software, myPhotoLab is amazingly easy to master. Implementation is absolutely painless - you won't have to send your photo lab staff on training courses or have them study endless manuals. The apps are intuitive and user-friendly. This lets the users concentrate on their work and inspires their creativity. The rich toolkit, the huge variety of ready-made decoration templates, and the attractive price make myPhotoLab an ideal photography business software suite for small and medium photo labs, as well as for freelance photographers. Try it yourself to discover how much you can do with your photos!